Tom built this cabin on a stretch of land that borders the Detroit river. He's been living here now for the past 12 years off the grid. He used to be homeless but I don't think you can call him that anymore. 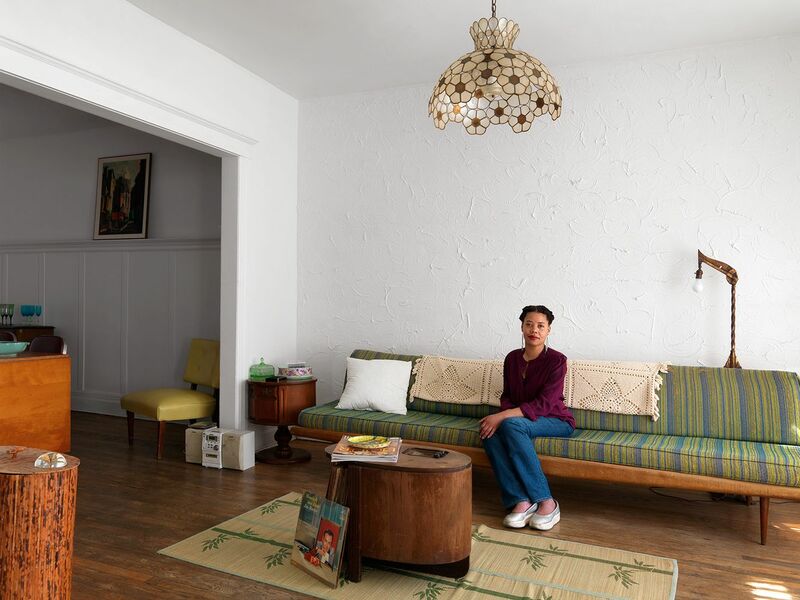 Rachel in her recently refurbished B&B rental apartment. 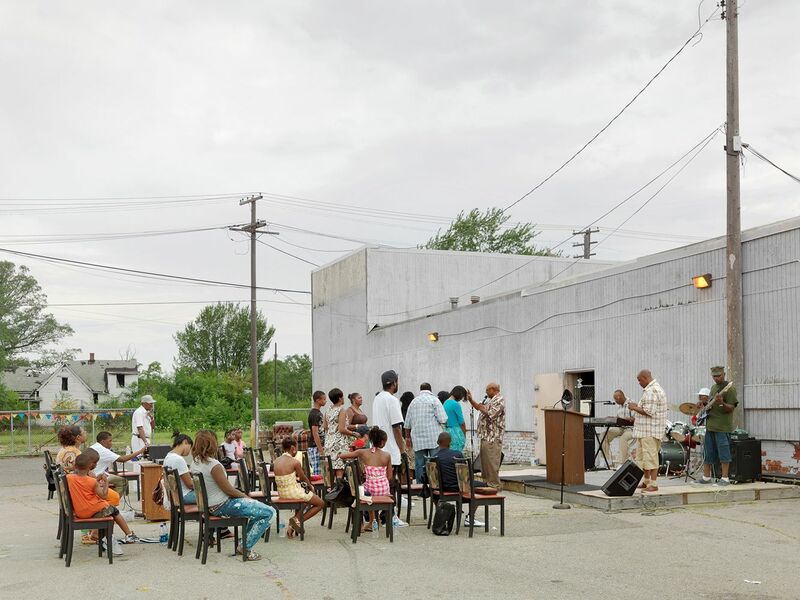 This street is located in one of the most blighted neighborhoods of Detroit, but residents still can come together and have a good time. 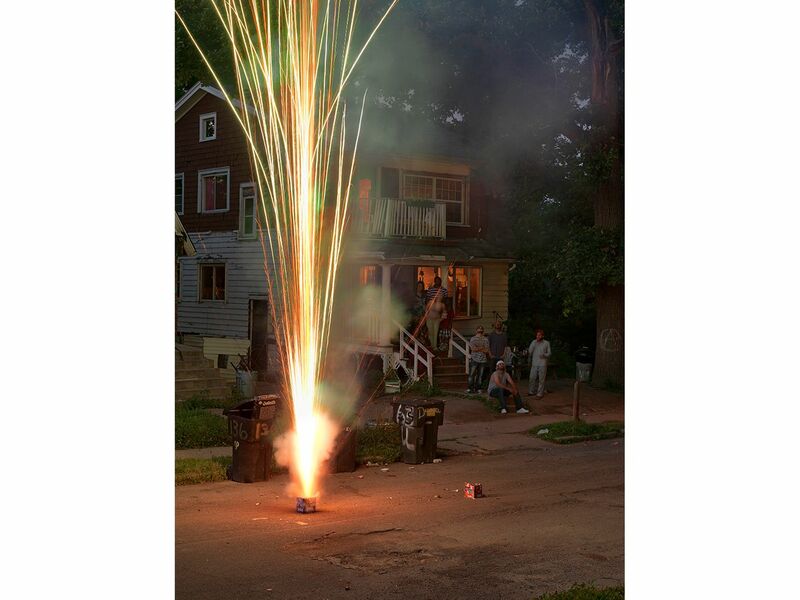 They were having a friendly competition with neighbors down the street where each successive firework got bigger and bigger. 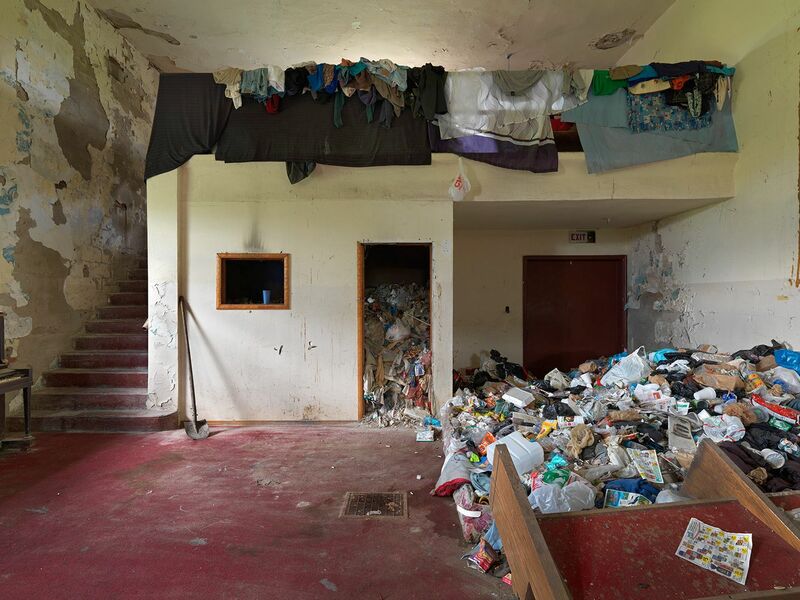 This abandoned building was currently being used and lived in by four homeless men. With no city garbage service, trash begins to build up and create a health hazard. 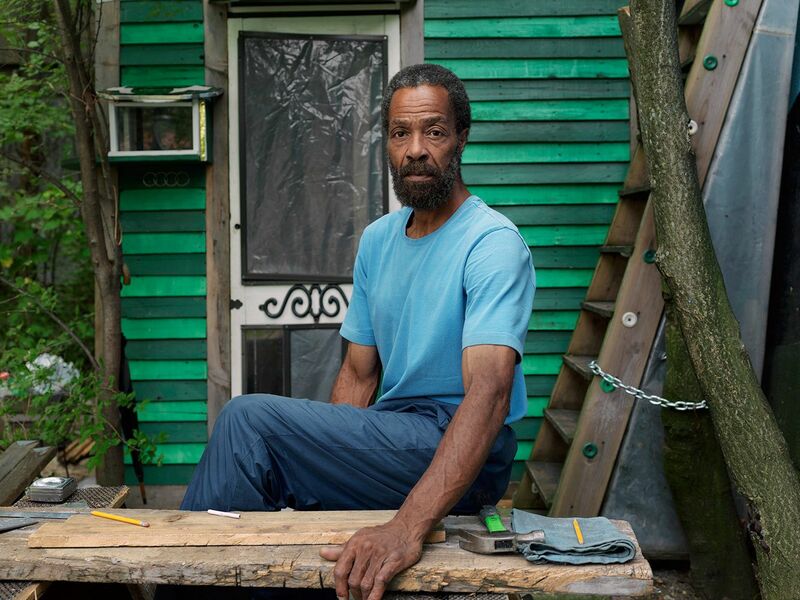 Tommy is one of four men who were living in an abandoned building. After his girlfriend passed away, he couldn't afford their apartment anymore and had to move out. 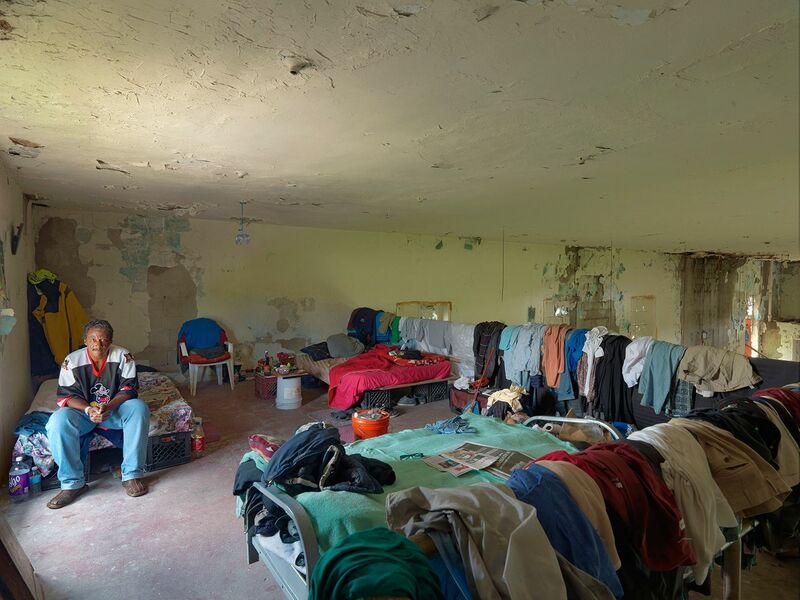 He had been homeless for three month until he met three other men who were living together in this building. It's temporary he says, until he can find a job. He used to be a bus driver. A group gathers together as a pastor holds an outdoor service in order to attract people in the neighborhood. Glen has lived in this camper trailer for the past eight years without running water or electricity. He kept a meticulously manicured yard and decorated it with handmade sculptures. Sadly, he passed away in February of 2015 from a fire caused by a faulty kerosene heater he used to heat his trailer. Many in the neighborhood who saw him as a gentle, eccentric man who expressed individualism will miss him dearly. Tirrelle operates the Black Bottom Cuts Barbershop which is the only commercial storefront business along the mile and a half stretch of Chene Avenue that is still open for business. Arthur, a felon who served time in prison for assault was a model prisoner, but after being released had a hard time finding a job because of his record so he opened this little candy store two years ago with the help of his girlfriend. The shop gives people in the neighborhood a place to go and hang out while also providing basic, non-perishable necessities. This is in the back section of the pool hall. The wall above the table has mostly funeral announcements posted that honor past members of the club. An unusual memorial in that each item is separated and occupies a space of its own. Pregnant and due any day, Rochelle contemplates the many changes that her life will take after the baby is born.